The NISE Net has created a set of materials to help with marketing and promotion of your Earth & space event. Materials have been designed to be customizable so you can adopt them to fit your event needs. Check out the blog post for the planning and promotional materials available to you, and don't forget to share your events with the NISE Net on social media: #nisenet #explorescience. The NISE Network runs a series of free online workshops to increase the number of professional development opportunities available to our partners, and to create more channels for partners to share their work and learn from each other directly. View full details for upcoming online workshops at http://www.nisenet.org/events/online-workshop. In this online workshop, learn how to identify common patterns of thinking including misconceptions, preconceived notions, and vernacular issues as learners build their ideas around Earth and space science concepts and strategies to best address them. We'll also be discussing how NASA resources can be used to support interactions and conversations with visitors around these topics. This online workshop will cover strategies for finding and connecting with additional NASA and Earth and space science related resources. Join us as one of the leaders behind NASAWavelength.org guides us through NASA's Science Mission Directorate's searchable database of scientist and educator reviewed resources to find and make thematic lists or activity progressions. 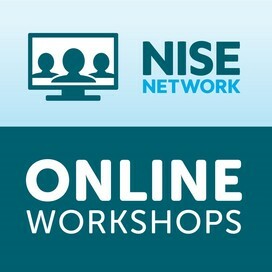 Did you miss a recent NISE Network online workshop? 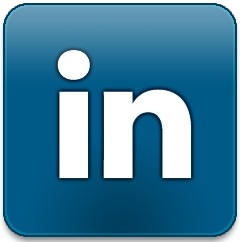 All online workshops are recorded and archived online along with their resources [view online workshop archive]. The NISE Network Evaluation group is a multi-organizational team dedicated to informing and improving the work of the Network by conducting evaluation studies that closely examine the public and professional deliverables of the NISE Network. Four studies were implemented to understand the impact of NISE Network nano educational deliverables on the public. These included examining the public reach of the Network from 2005-2015, looking at the ways that the public engaged with the two most widely distributed public products - the NanoDays kits and the Nano Exhibition, and studying the ways that institutions offered Network products to the public. The Public Impacts Summative Evaluation Executive Summary provides a useful visualization that explains the multiple ways the Network supported public engagement with nano, the products that helped achieve the Network's public impact, and the broad and expansive public reach of the Network - 30 million people and growing! Mark your calendars! MVCC is hosting NanoDays and STEM Fest on Saturday, April 1, at our Utica Campus — bring the whole family! Free event! The nine activity training videos and eight content training videos are designed to help museum staff and volunteers using the toolkit learn how to facilitate the hands-on activities and feel comfortable while engaging public audiences with activities from the Earth & Space toolkit. 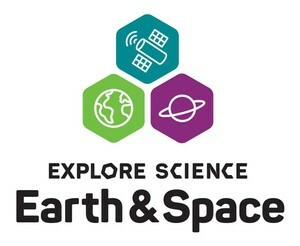 Training and content videos are available online at https://vimeopro.com/nisenet/explore-science-earth-space. The NISE Net has many hands-on activities, card games, programs, short demonstrations, stage shows, forums and more to help celebrate events all month long. For specific activity ideas for events, and for more inspiration for year-long events and activities, visit http://www.nisenet.org/seasons.